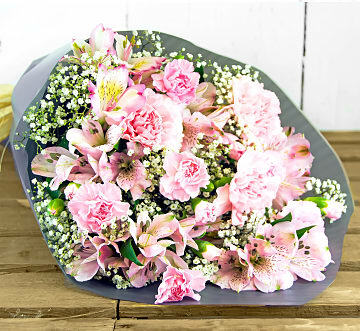 We often think about sending flowers for events like birthdays, anniversaries, or even various romantic occasions. 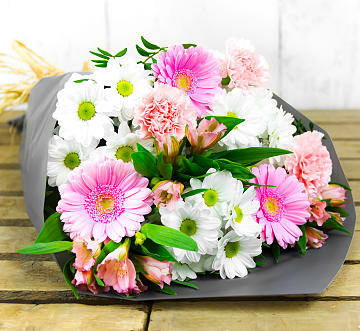 While these flower deliveries will always make the recipients smile, there's nothing more surprising than an unexpected knock on the door and a fresh bunch of flowers waiting on the other side! 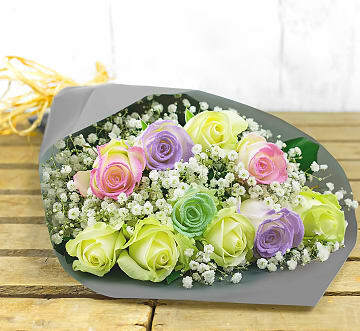 Flowers are the perfect way of showing your loved ones and friends how much you care and how much they matter. 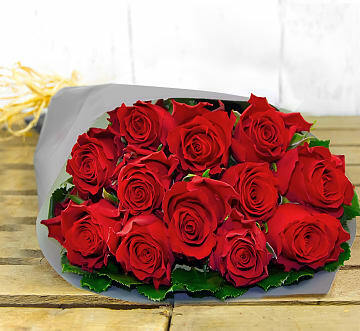 Finding the perfect flowers for no particular occasion can be a bit trickier than selecting the usual dozen red roses for Valentine's Day. 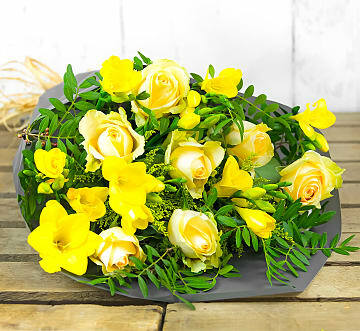 You want to send flowers that the recipient will love without giving them the idea that you have done something that might land you in the doghouse. 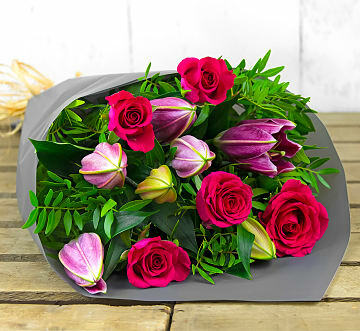 At 123 Flowers, we have a great range of Flowers Just Because and we have selected each bouquet for this particular reason. Some have more of a romantic theme which is great for couples. 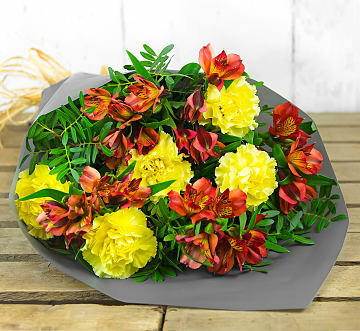 Others include bright coloured flowers which are ideal for friends and family members. 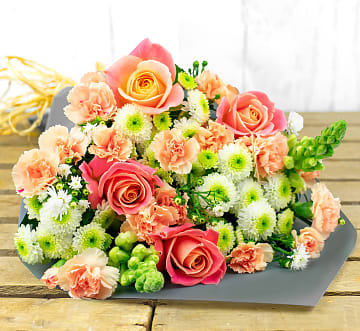 The most important piece of advice that we, as professional florists, can offer is that you should always choose a bunch of flowers based on the preferences and personality of the recipient. You can never go wrong if you choose the type of flowers or at least the colour(s) they prefer. Our team also understands that there are enough financial demands that tend to keep many of us on fairly tight monthly budgets. 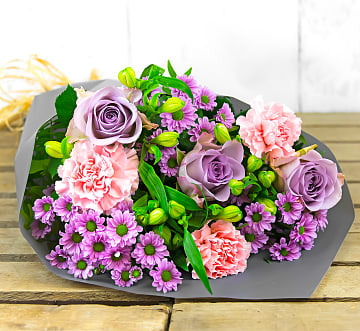 This is why we offer affordable flowers, and we make it possible for you, the shopper, to opt for the size that will best suit your needs and price range. 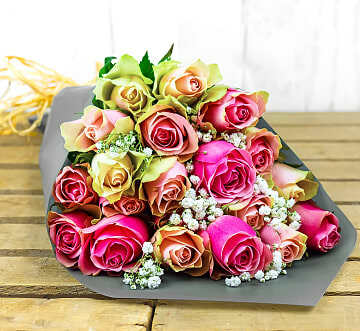 Where free flower delivery is available, it is stated on the product page, and this is a great way of keeping costs as low as possible. 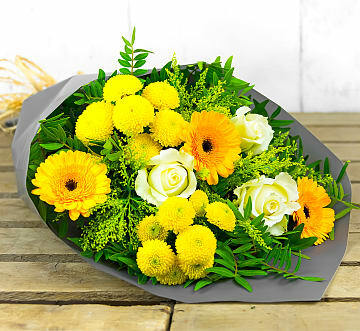 If you are looking for something to add to your flower delivery, we've also got that taken care of for you! Simply take a look at our optional extras such as luxury chocolates, balloons, wine, and more. Choose one or more of these items, and they will arrive along with your fresh flower delivery! With us, there's no need to shop anywhere else. 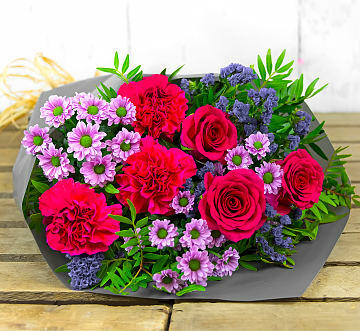 Flowers Just Because are great for showing your parnter or spouse that you still love them. It's also a great encouragement for staff members or even if you want to show somebody support when they appear to be taking strain. 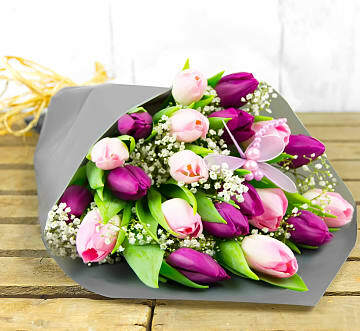 Remember, fresh flowers give the recipient a fantastic boost of energy, and there is also something wonderfully rewarding about making others smile. 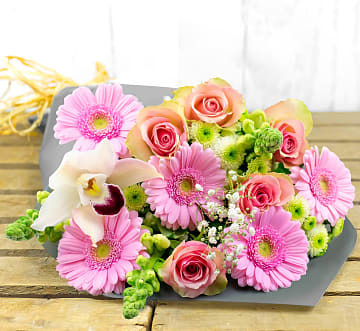 As with all of our flower arrangements, we will attach a card along with your message. Take a moment to think about what you would like to say, or you could even write something like “Just because...” to show the recipient that you are thinking of them. 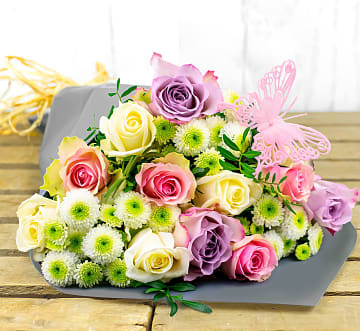 When you choose 123 Flowers, you can rest assured that the bouquet will be arranged with love and care by professional florists. Every stem is perfectly placed for a superb floral display.